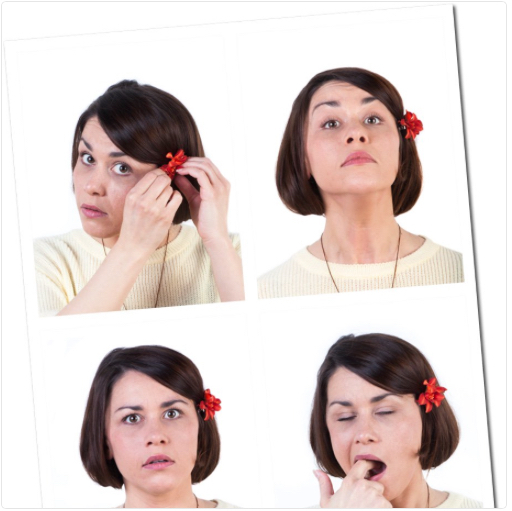 Something Underground Theatre Company » Create Your Own One Person Show. Create Your Own One Person Show. Elle Dillon Reams in Betsy Wisdom of a Brighton Whore. it was exactly what I needed to spring an idea I’d had for a long time into action. I needed deadlines to meet and a safe encouraging environment. it in New York. Jonathan gives well balanced guidance influenced from his own experiences. It (showcase) was a night for me to remember for sure. I’m pinching myself. Writing & re-drafting material (or sourcing a writer / script). 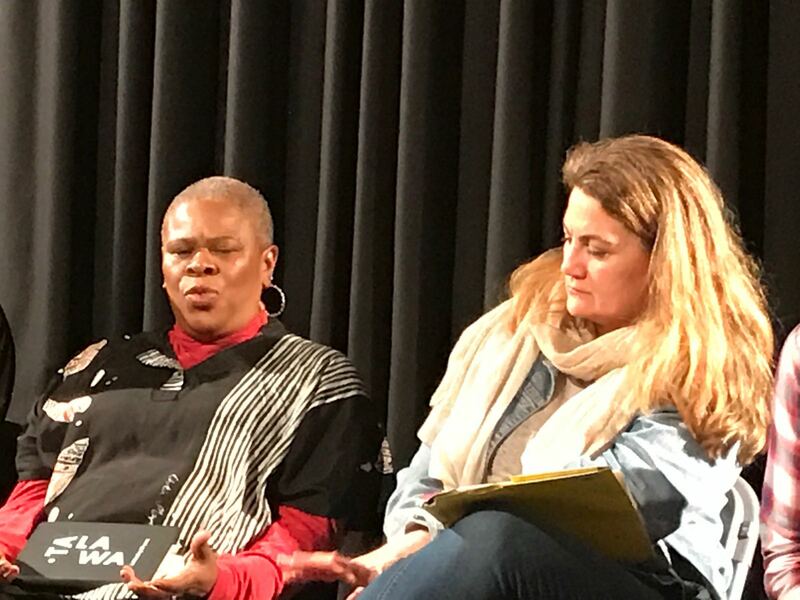 Finding editors & sounding boards ( or adapting a script). The course will culminate in a scratch* performance of your work in front of an invited audience, and a debrief afterwards. “Jb’s course was the springboard I needed to take my seed of an idea from a dream to an award-winning solo show. Without his forceful nudges, positive support and playful but practical approach, it would not have happened. I’m very grateful.” Kate Darach, Moontales. 2014/2015. Gathering the threads. Putting it together. “It was on your Create Your Own One Person Show course in 2012 that I first had the courage to stand in front of an audience as Bernard Shaw. (Winner Argus Angel Award 2013, and toured internationally since). 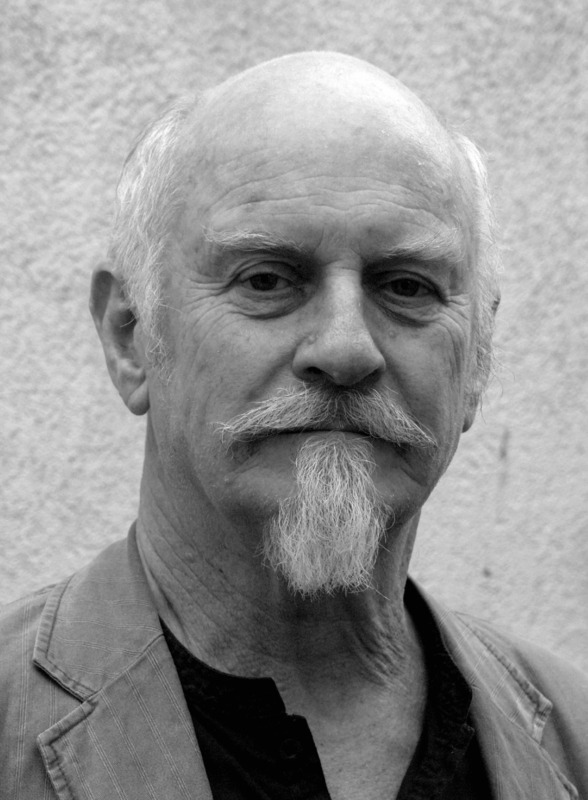 I’ll always be grateful that you and your workshop gave me the courage to start and the confidence to go on with (my) show.”Paddy O’Keeffe. Venue: The Cockpit, Gateforth St, Marylebone, London. Limited spaces. 6 people maximum. You need to book in advance to be assured a place. “I really enjoyed the course, it gave me the confidence to test a piece of work in progress, something I definitely wouldn’t have done by myself. The most useful elements of the course were the writing prompt exercises, which I still have and use, and also being able to test extracts of work in a safe and supportive environment which provided critical feedback.” Lucy Bailey. 2012. 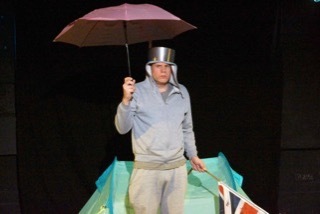 Jonathan has created 10 one person shows, performing in 8 of them, ranging from fully scripted plot & character driven work, through to theatrical storytellings, and fully improvised solo theatre. John Hoggett has gone on to perform his one man show at regular events. Sarah Charsley and Clare Rebekkah Pointing went on to perform their shows at Brighton Fringe 2016, and Clare also at Edinburgh Fringe 2016. Clare continues with Delphine into 2017. Lianne Campbell has gone on to perform “Lessons from Leela” at several events across the region, and is now developing the next chapter with support from Jonathan. Charlotte Fox took her show to Edinburgh Fringe 2017. Lorna Gayle was commissioned to write her own piece on the back of the course. 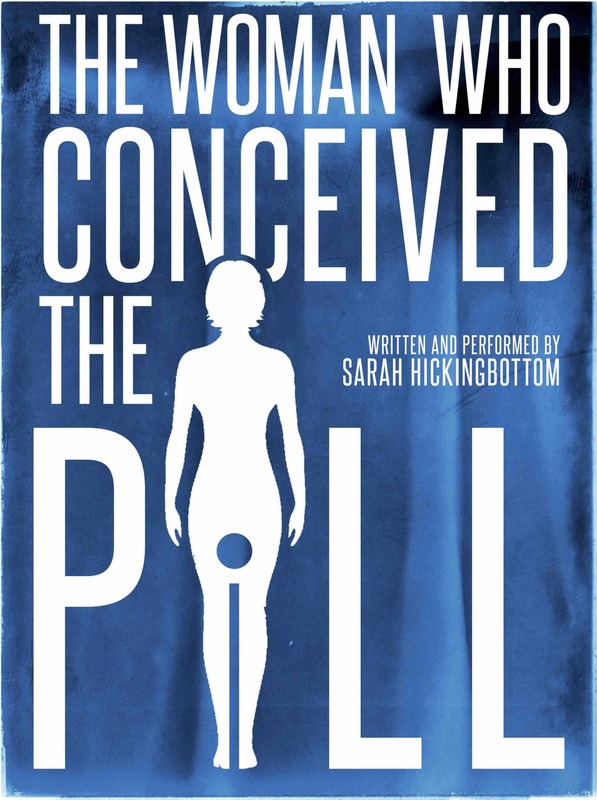 Sarah Hickingbottom performed Brighton Fringe 2018 with her piece The Woman Who Conceived the Pill, alongside and with support from Something Underground. All members of the April 2018 Brighton Course performed their snippets again in Lewes on 25th May at Fitzroy House. 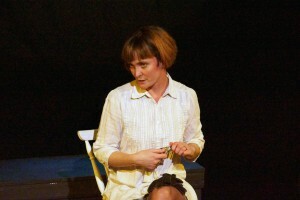 Jonathan’s one woman show Smoking Ban won the performer Kate Goodfellow Best Female performer award, Brighton Fringe 2014, and the show was longlisted for an Amnesty International Award for Outstanding Performance in the category of contribution to Human Rights Awareness. 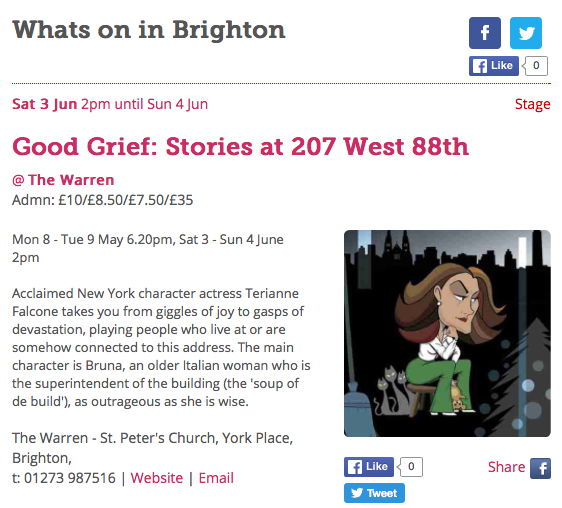 His one woman show, Betsy Wisdom of a Brighton Whore achieved many 5 star reviews, and in 2013 its performer, Rachel Guershon, was nominated Best Female Performer Brighton Fringe. Betsy has been revived 2 times and plays again 2019 Brighton Fringe, with award winning Isabella McCarthy Sommerville. Jonathan has additionally one-to-one mentored a number of performers and writers. He was previously a group facilitator, teacher & mediator. “Initially, when I took part in the course in 2014, I worked on presenting some of the children’s stories I had written and was already using as a storyteller. Jonathan encouraged me to stretch myself to write and perform something entirely new. He was, of course, right. I brought along a monologue I had written but had not been confident about performing and with Jonathan’s guidance and the incredibly supportive environment of the group, I was able to develop and perform it. The constructive feedback from Jonathan, the others on my course and from experienced practitioners at our showcase gave me the confidence to complete the piece and it became – ‘Pulling Up The Drawbridge’ my first one man show. 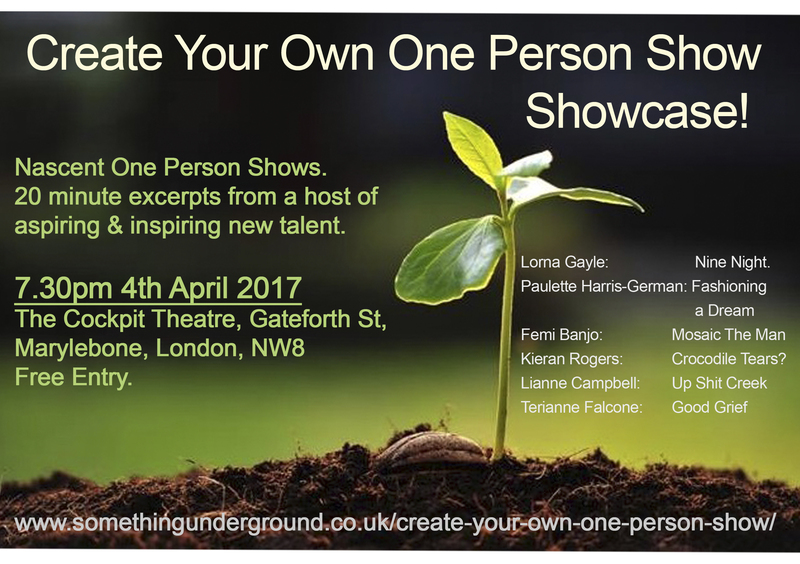 Our (last but four) Showcase was 4th April 2017 at The Cockpit, Marylebone, London. “It was a night for me to remember for sure. I’m pinching myself. Thank you so much for the course. I couldn’t imagine on that first night that I’d have written a short play (rather than just a scene or two) and pull it off on stage without set, props or anything bar the music. “I really got a lot out of the course. Writing and creating your own show where you play all the characters, something I’ve never done before, was a big ask, but the process was facilitated really well and I felt supported and challenged which is necessary – sometimes gently challenged and sometimes not so gently but if we are performers in our own one person show then we are potentially going to receive all sorts so I really appreciated it, even if I squirmed at the time! Hearing the feedback from the scratch night where everyone really loved the story I produced was amazing. If I could do it again, I think I would definitely do more work outside of the course on all the material, so I could concentrate on the performance aspect within the course.” Suzanne Crosby, 2012. I can heartily recommend joining Jonathan Brown on his Creating Your One Person Show Course. I am excited to be developing this further, with a view to perform it in due course. As a seasoned performer and writer of his own work, not only is Jonathan Brown a fantastic resource himself, it is also great to dive into this creative and challenging process with other performers and like-minded folk. Martha is asked to host her best friend’s Nine Night. The past comes back to haunt her as she bumps into some of the guests. Will she be able to contain her tainted memories? Or will grief get the better of her.